Birsa Munda, freedom fighter in British era, is remembered for bringing a tribal revolution in India. He was born on November 15, 1875 and his birthday is celebrated as Birsa Munda Jayanti. 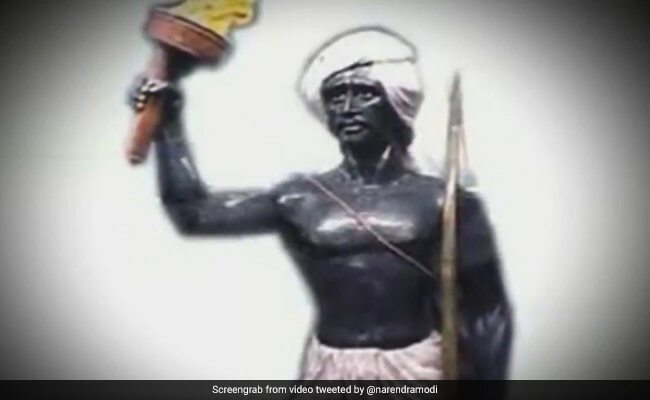 New Delhi: Birsa Munda, freedom fighter in British era, is remembered for bringing a tribal revolution in India. He belonged to the Munda tribe, most common in Jharkhand, Odisha, West Bengal and parts of Bihar, Chhattisgarh, Arunachal Pradesh, Tripura and Madhya Pradesh. The group is one of India's largest scheduled tribes. Birsa Munda was born on November 15, 1875 and his birthday is celebrated as Birsa Munda Jayanti. Prime Minister Narendra Modi, President Ram Nath Kovind, Congress Vice President Rahul Gandhi and many other leaders paid tribute to him on the occasion of Birsa Munda Jayanti. In his tweet, Prime Minister Narendra Modi wrote, "I bow to Bhagwan Birsa Munda on his Jayanti. His indomitable courage is a source of motivation." He further wrote, "Inspired by the life of Bhagwan Birsa Munda, we are working towards empowerment of our tribal communities, who are India's pride." President Ram Nath Kovind also paid homage to the national hero. In his tweet, he referred Birsa Munda with his popular name, 'Dharti Aba', which means father of earth. Congress Vice President Rahul Gandhi also paid respects to the freedom fighter and mentioned in his tweet, "Bhagwan Birsa Munda fought against the British with exemplary courage and led the way for the empowerment of tribals." My tributes to Bhagwan Birsa Munda on his Jayanti. He fought against the British with exemplary courage and led the way for the empowerment of tribals. Tributes to legendary freedom fighter Birsa Munda on his birth anniversary. Though Birsa Munda died at an early age of 24, he left a great impact and fired the imagination of the tribals and mobilized them against the tyrant British rulers. His slogan threatening the British Raj was Abua raj seter jana, maharani raj tundu jana which means "Let the kingdom of the queen be ended and our kingdom be established." He was arrested on March 3, 1900 in Jamkopai forest in Jharkhand while he was sleeping along his tribal guerrilla army which was fighting against the British. Birsa Munda died in Ranchi Jail on June 9, 1900. Although the British claimed he died of cholera, he reportedly never showed symptoms.